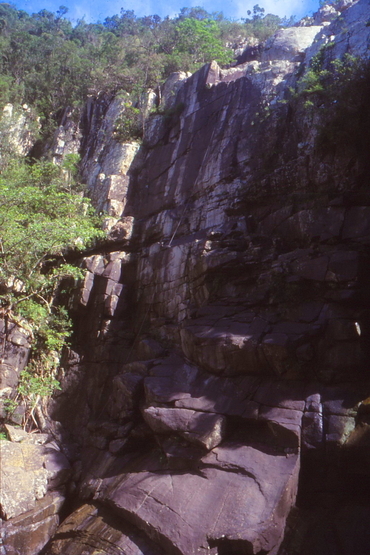 Bellow Falls was first discovered by climbers in 2000, but only two routes were opened. 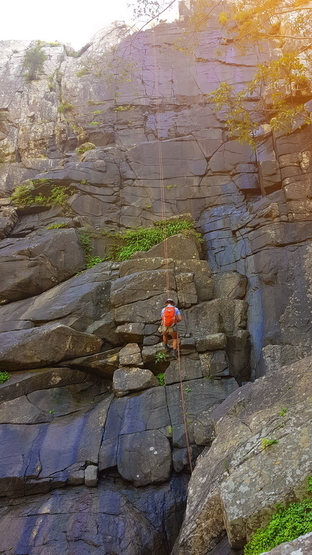 It took 18 years for climbers to return & open more routes. The rock is a mix of mud stone & silt stone. Smooth & often covered in a white fungus. Fairly brittle. Very vertical. 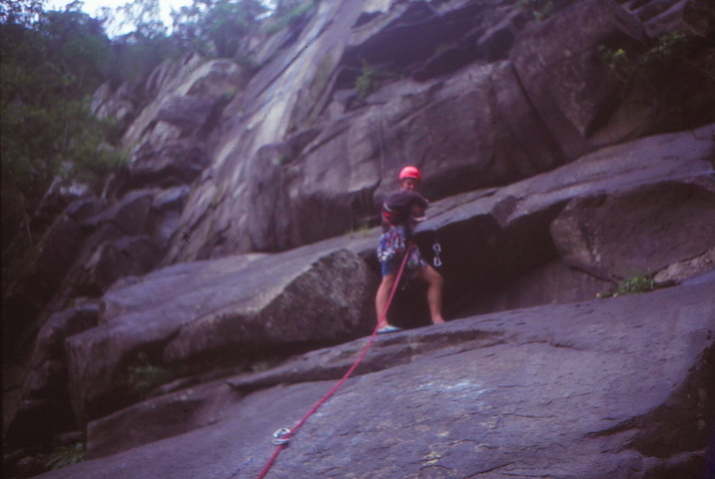 There are 5 trad routes. There is quite a bit of potential for new routes, especially sport routes. Awesome spot! 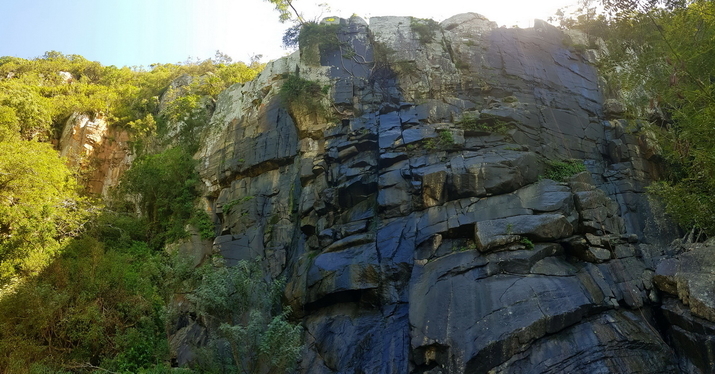 30m high cliffs & water fall. 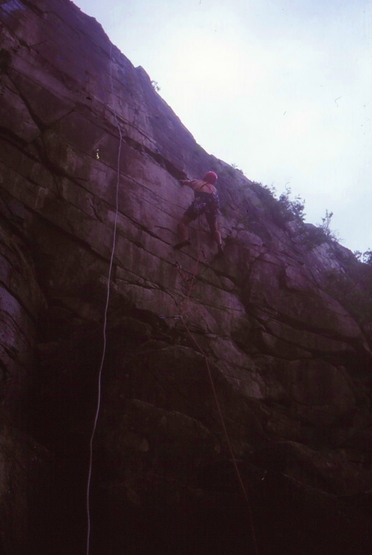 Abseil anchors. Pool to swim in at the base. Can be wet when the waterfall is running. Shaded all day. Could be cold in winter. Very wet after any rain. Choose a dry year or at least the dry season. At least 1km, 30 min, flattish. WARNING: There were lots of snakes at the bottom. Seriously! This is a snake pit, think Indiana Jones! 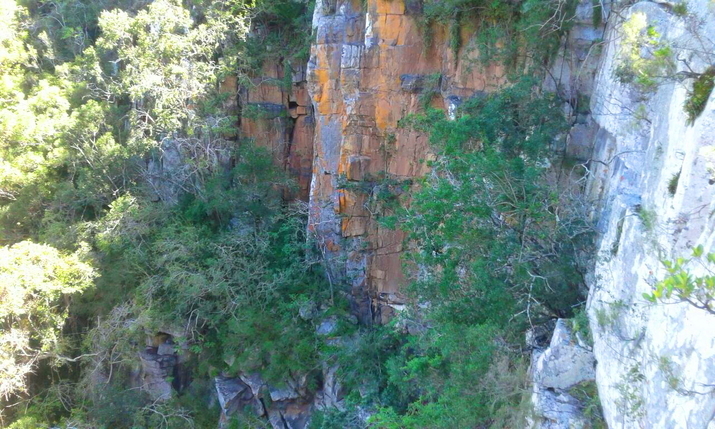 There is a bee hive on the eastern side of the waterfall. This is private farm land, but there is a public trail that goes to the falls. Access is not an issue.